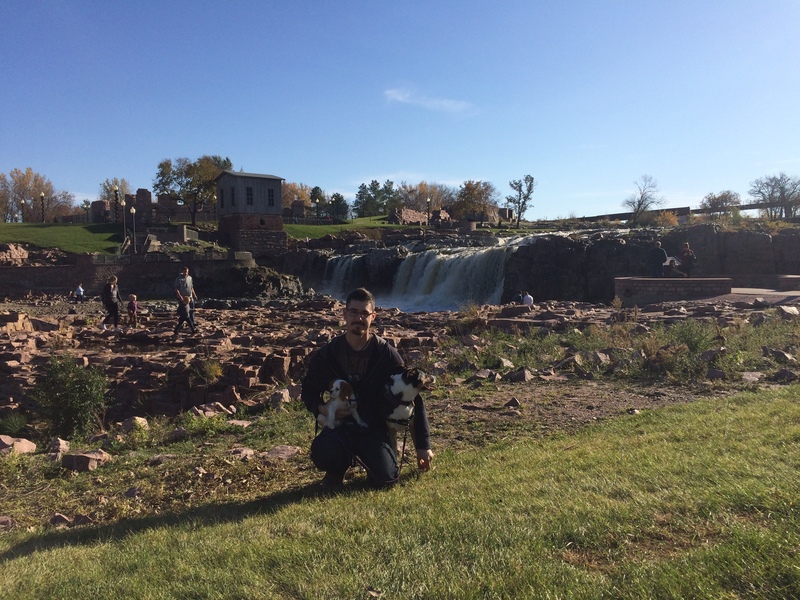 On our last day in Sioux Falls we took the dogs hiking around Falls Park. It was beautiful out and was the perfect day for a walk. 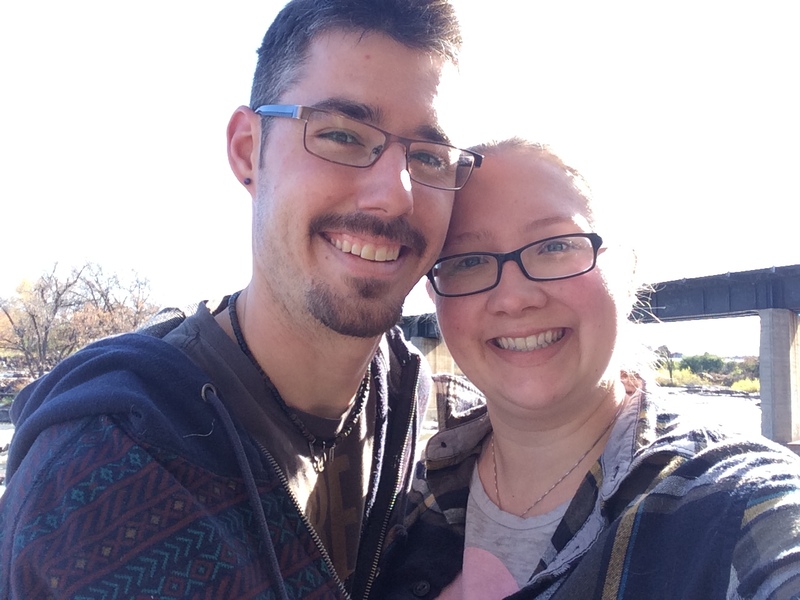 We were fortunate enough to be able to enjoy the nice weather at our leisure. The dogs enjoyed some much needed exercise time and we enjoyed soaking up the rays of the sun. 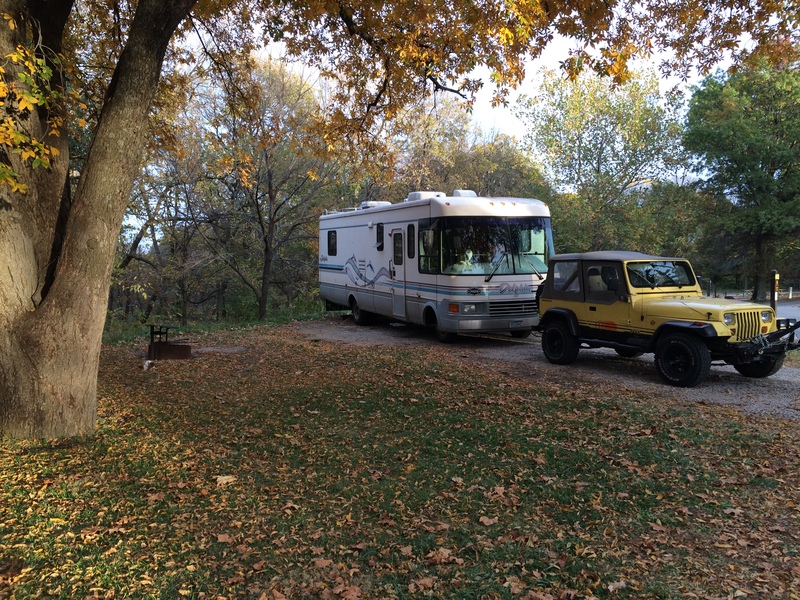 Our last day was beautiful but we were ready to leave our RV park on the highway. We tried telling ourselves that the noise of the traffic was like waves of the ocean but that lie only lasted so long. We set out on the road and found our next stopping place in Southern Iowa. Now, I have never been a huge fan of Iowa for many reasons. Mostly because we are from Minnesota and Minnesota is just better. 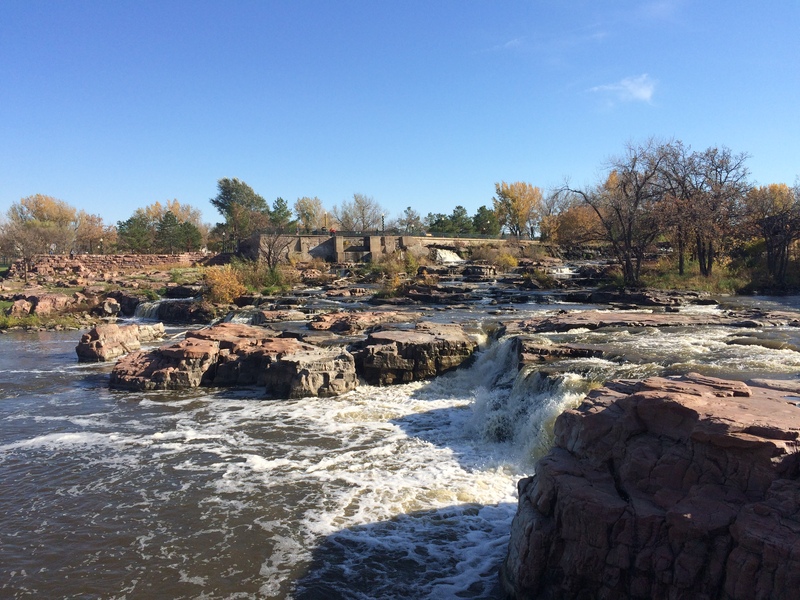 I never thought that Iowa really had much to offer other than their cornfields and occasional cow sightings. 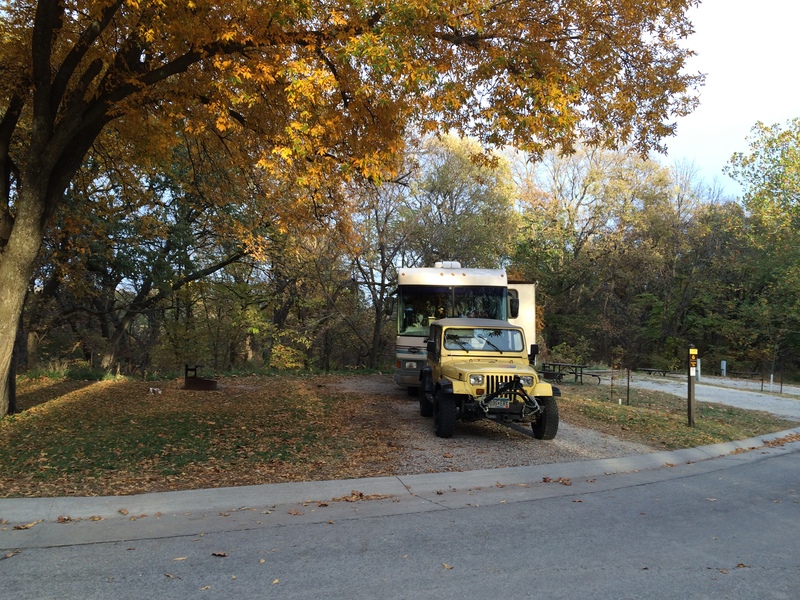 I’m eating my words now because we are in a very beautiful campsite in the bluff area of Southern Iowa. With a campsite that costs less than half (!!!) 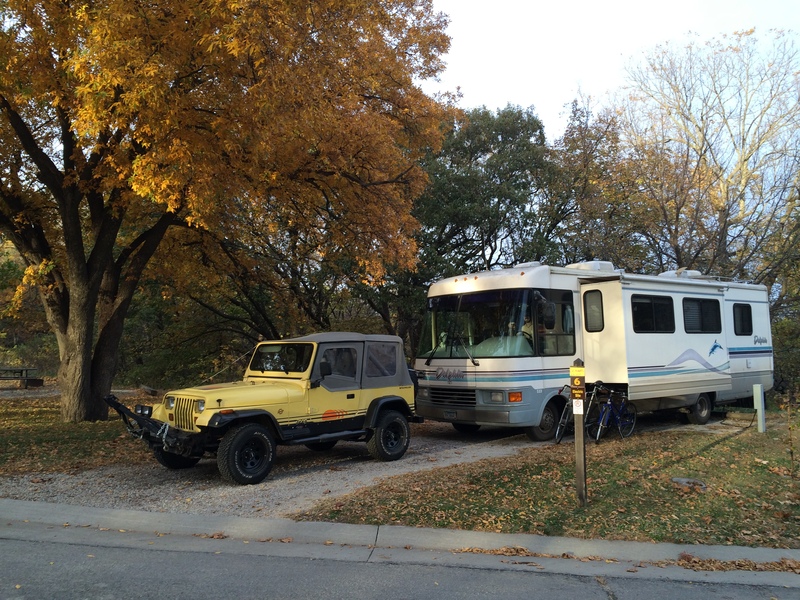 of our lovely highway site, we are more than happy to set down our roots here for a while. 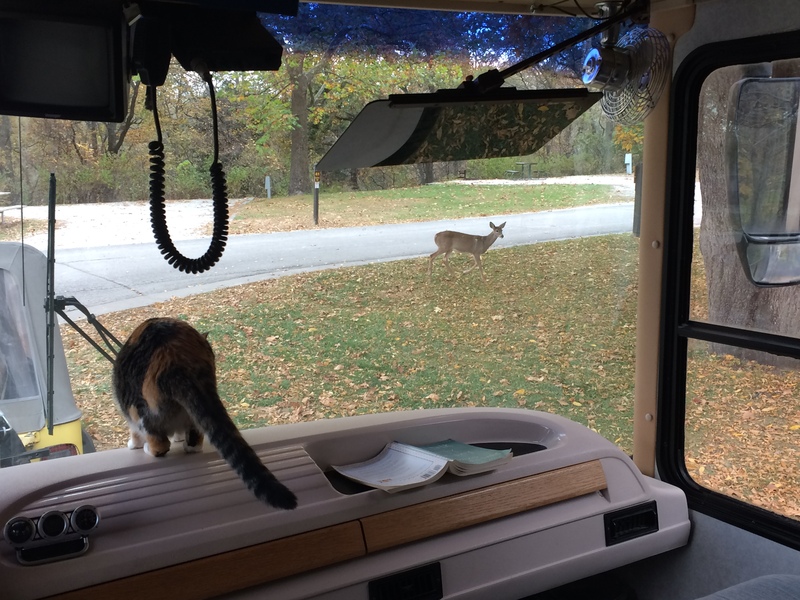 There is only one other camper in the whole place, we are set off from the highway by about five miles, AND the wildlife here is just crazy. We have so far watched five deer walk through our campsite, listened to an owl in a tree nearby, and listened to a pack of coyotes howling last night. We can even hear the birds singing because there is no loud background noise of cars interrupting our peace. It looks like we are chasing Fall too; the leaves here are just starting to turn so there is still a lot of green. We are so lucky to be here right now! The only downside is that the water here tastes pretty icky. I guess that’s what we get for staying in Iowa!